Encouraging words from fellow author, Vogue. I decided to write this post after receiving a text message from one of my friends. 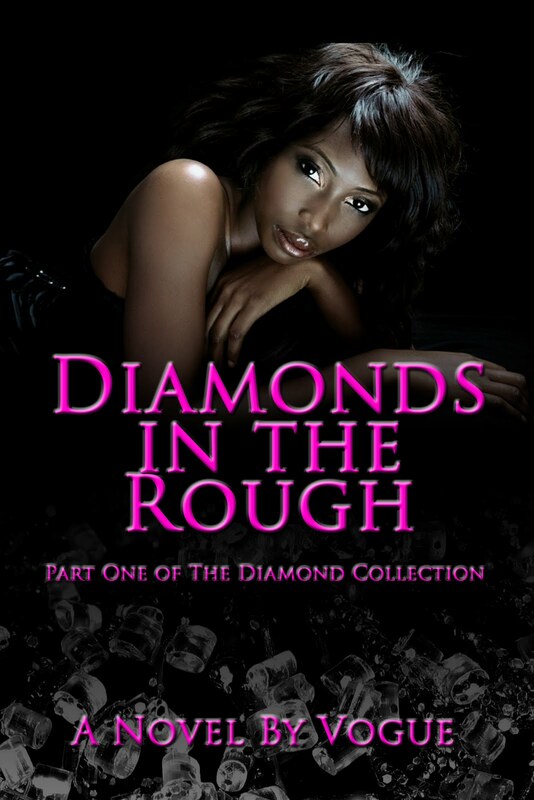 She had given an autographed copy of Diamonds in the Rough as a gift to a young lady. According to my friend, she gave the young lady a copy of the book to inspire her to go after her dreams. After reading the message, I automatically began to think about the numerous amounts of people who have told me that I have inspired them to reach their dreams. Some even have gone on to start working on them. For example, I have a friend who is now a published author as well as a relative who is working on opening up a clothing store. It’s like a domino effect in a way. Since I decided to take a chance with my own dreams and goals, others have automatically done the same. I rest peacefully at night knowing that I have had this impact on people. It is because of this experience that I ask all of you authors out there, what is the underlying message that you want your readers to get from your books? When I discuss Diamonds in the Rough, I often label it as a story of ambition and determination. Anytime I get feedback on the novel, I try and listen to see if the reader sees this in the storyline. If you don’t have an answer yet the question, try and remember some of the feedback that you’ve gotten. What did your readers get from your book? Regardless of what your book is about, there is always a hidden message there that can inspire others. Remember this: Words on paper have the same effect as the words that come out of our mouths!